The Federal Automated Vehicles Policy, released on September 21 by the U.S. Department of Transportation, is a 116-page document that has the potential to shape the cars we own, the roads we drive on, competition in the automotive industry, and lots more. Chances are that you’re going to be reading a lot about this policy, but we’d encourage you to read the original document too. It’s available online. Here’s an overview of what you will find when you review the policy. The DOT spells out five different categories of autonomous cars, ranging from Level O (no automation, a human does everything) to Level 5 (the car completely drives itself under all conditions). In an effort to predict the future of what might happen when all those automated and semi-automated cars hit the roads, the DOT spells out the backup safety systems that are required to be in place for cars in each level. When do these policies go into effect? On September 20, 2016 – the day the policy report was published. That might not be possible, since most of the affected cars haven’t even been designed yet. But we have to give credit to the DOT for getting out in front of the issue. How is the DOT going to know whether future cars will meet its safety requirements? At first, it will rely on written statements provided by car manufacturers. This part of the policy doesn’t make for exciting reading, but it serves an important purpose, since laws passed by states should comply with laws passed by the Feds. Note that the purpose of this section is to bring all states into uniform compliance; at the start of 2016, only 16 states had passed legislation that regulates self-driving vehicles. In these sections, the DOT outlines regulatory procedures that have been used to monitor vehicle safety in the past; and then suggests how those procedures might change in the age of the self-driving car. For example, it might be necessary to create a Pre-Market Approval Authority that will test autonomous vehicles before they are offered for sale to the public. This is nuts and bolts stuff – a bit less exciting than what you will find in the opening sections of the report. But if you want to know what self-driving vehicles are about to become in our lives, you’ll want to read it. Additional Resources . . . 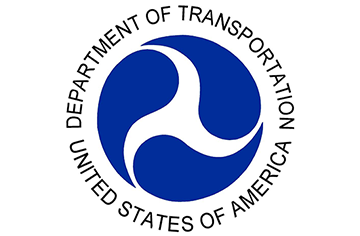 The policy statement also contains a glossary of terms, a review of current regulatory tools used by the DOT, and a list of next steps to be taken as more self-driving vehicles are introduced safely to American roads. We encourage you to download this document and keep it. It’s a reference that you’ll want to have on your virtual bookshelf right now, at the dawn of the age of the self-driving car.